Click the the Email Accounts button in the Mail section. Click the Password link next to your email address. 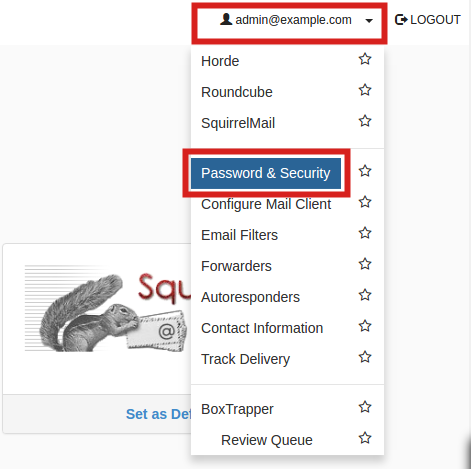 Type your new password in both boxes, then click the Change Password button. 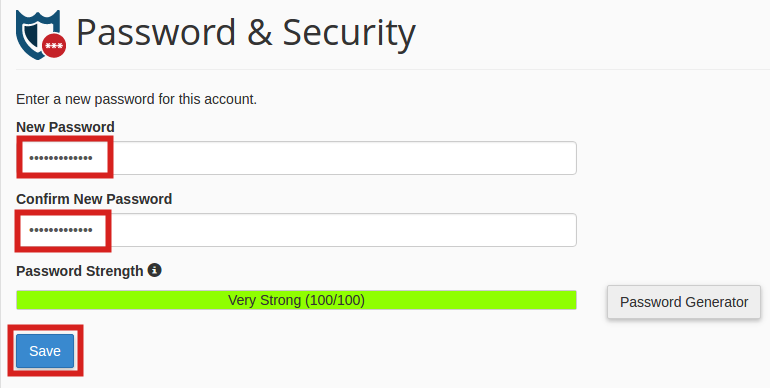 Note you must use a strong password (strength of at least 50).